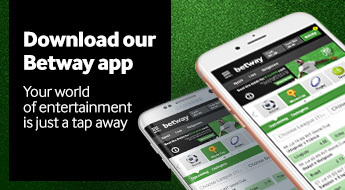 Betway is much more than your favourite online sportsbook; we have added the best online casino to our online gambling suite, offering you a variety of entertainment at your fingertips. In just the same way that we’ve invited you to skip the queue to place a sports bet, we welcome you to experience the casino without having to travel, or muscle your way through the crowds to get a seat at the table or the slots. All the fun is right on your mobile device or desktop computer, accessible at all times and bursting with colourful online casino games ready to play right now. Enjoy having your sports betting and online casino games all in one place, wherever and whenever you need them. Register now and start your online casino adventure. Now you can play on online slot machines wherever you are, just a few taps away. Video slots take online slots to the next level. Removed from regular reel slot games, such as Couch Potato or Bar Bar Black Sheep, video slots take the simple slot and add bonus features, such as unlocked levels and animations, as well as other special advantages. If you’re a fan of the classic table game, you’re in luck: we have European Roulette available to play online, anytime you like. This game perfectly captures the thrill of the traditional casino game, and allows you to enjoy online roulette wherever you are. Make a very simple bet, like betting on red or black, or make a series of bets, like betting on your favourite numbers, and adding to that more bets on red or black, or even all odd or even numbers. Contrast the typical roulette game to Spin and Win Roulette, which is a simplified version of the classic, cut down to 12 numbers assigned to either black or red. Pick your numbers and your stake and hope the flashing number lands on yours. Roulette at the casino just got a whole lot more easy to play. 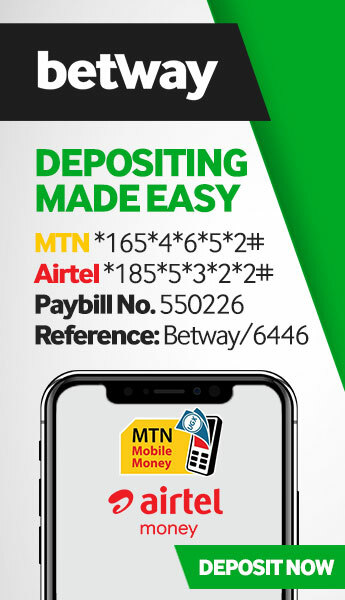 Everything on the Betway Uganda Online Casino is available to play on your phone, which means you now have a casino in your pocket that you can take with you anywhere. This revolutionises the concept of waiting in queues or being bored – you now have access to all your sports betting and a mobile casino on-the-go. All the games have been designed with this mind, with the gameplay optimised and customised to suit the avid mobile casino games player. Enjoy the very best quality mobile gambling ready to go when you are. Never worry about not having a seat at the table again. Play online table games wherever you like on your mobile device or on your desktop computer, we’ve got a seat with your name on it. Online roulette and blackjack are available to play at any time at the online casino, so play around and find your favourite. Uganda’s favourite online table game is unquestionably online blackjack. Play the traditional version in Classic Blackjack Gold Series, where you’ll be cheering on number 21 against the dealer in this highly absorbing card game. Take the simple blackjack game and add some extra features, like insurance on your stake, or even the option to double your stake after you’ve seen your first two cards, and you’ve got Uganda’s pick in online blackjack: Vegas Strip Blackjack. Get to know this casino staple, which is far more intriguing than you think. Video poker is, essentially, a simple card game based on the winning hands in traditional poker. The hand you’re dealt is random and, if you’re a winner, you can go on to double your winnings by correctly picking out an overturned card. You can go on to keep doubling your winnings over and over by completing the challenge successfully each time, until you make the wrong pick or you decide to collect your winnings. Start playing video poker online with Jacks or Better Poker.